Time-critical applications with RTX | Datapartner s.r.o. RTX enables the development of high-performing, dependable and precise real-time applications running under Windows. RTX64 by IntervalZero is a key component of the RTOS platform which uses x64 multi-kernel processors and the Windows OS. 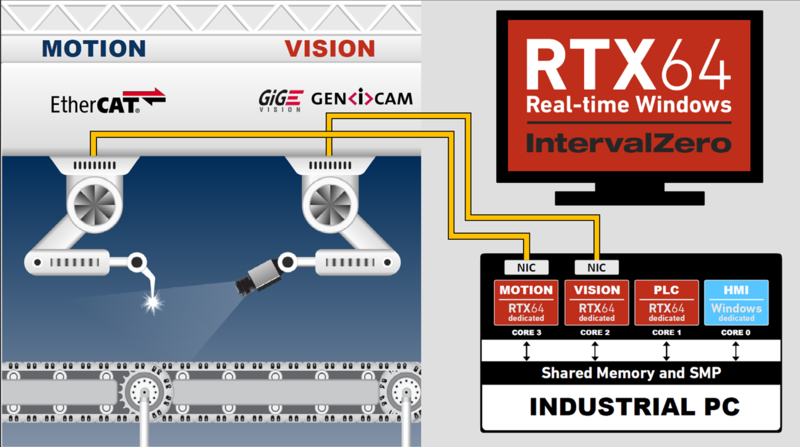 Applications with RTX can be controlled in real time and their precision is in microseconds. RTX has its own planner, independent of the Windows Planner. The HAL timer period that determines the interval of planning can be configured in microseconds. Processes can be fully controlled and the system exception reliably handled. The RTX run environment can be set so that it will take over the control and dependably terminate the real-time processes even when the Windows (BSOD) fail. If the performance needs to be increased, the effect can be achieved by merely increasing the number of kernels used for the real-time logic. The ability of symmetrical multiprocessing effected by RTX64 enables the embedded real-time applications to directly access 512 GB of addressed physical memory. The entire RTX design aims to offer the developers Windows technologies and user environment together with the benefit of fixed real time within an isolated and controlled subsystem. All parts of the system can be created in a single standard developing environment (e.g. MS Visual Studio). Switching from regular programming to the real-time applications is an easy task. RTX is the principle part of the SW control platform, i.e. an approach in which the proprietary HW means used for the time-critical processes are replaced by SW components. 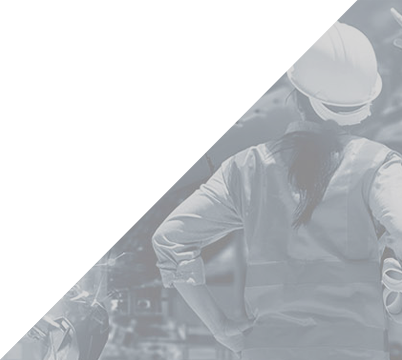 RTX eliminates the need of an additional system, of proprietary controllers and communication cards otherwise required to perform the function of an HMI. Cut your production costs and reduce the number of physical components - better logistics, short delivery times and reduced inventory will ensue. Symmetrical multiprocessing takes the best advantage of the multi-kernel processors. The system will thus be scalable up to 63 real-time processors. The applications feature a high adaptability thanks to the fact that the strings can be configured to suit the kernels dedicated to RTX. „The company of dataPartner, s.r.o. has been our reliable partner of long standing and our cooperation has reached a very satisfactory level. The company´s workers apply a professional approach and are interested in customers and their needs." Where can the RTX application be installed? The RTX run environment and your real-time application will be installed on a conventional PC with the Windows OS. The development will be easy and the time-to-market shortened. The development environment and languages will be standard. How is the communication established? The RTX processors and your Windows applications will high-speed communicate using the IPC mechanism (shared memory and virtual network interface). The communication between real-time processes and your HW does not have to rely on any controllers - the controlled components will communicate through the deterministic protocols of real-time Ethernet, i.e. EtherCAT. Can the RTX be tried free of charge? The trial version of RTX can be downloaded for free from www.intervalzero.com, where choose Start Evaluating RTX64/RTX Today. Fill in a short form and choose the RTX version that you are interested in.